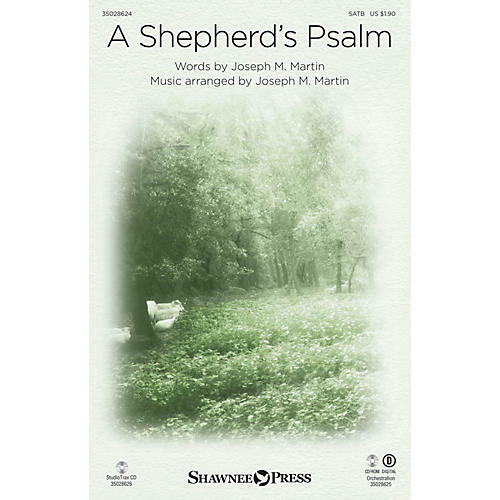 Uses: Christ the Good Shepherd, General Scripture: Psalm 23; Hebrews 13:20-21 The tender spirit of an English folk song joins the 23rd Psalm creating an easy-to-prepare sacred anthem that is sure to please. Unison writing presents the melody clearly, adding voices gradually as the text develops. An a cappella section offers beautiful harmonic variety and paints the portrait of a gentle Shepherd who cares for His flock. Score and parts for Flute 1&2, Oboe, Clarinet 1&2, Bassoon, Horn 1&2, Percussion 1&2, Harp, Piano, Violin 1&2, Viola, Cello, Double Bass.